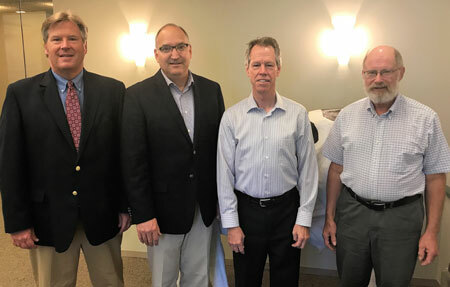 At its August meeting, the Board of Directors for the Council on Dairy Cattle Breeding (CDCB) elected new officers and expressed appreciation to the outgoing officers. The CDCB Board and staff expresses their gratitude to the outgoing officers for their leadership over the past two years. Juan Tricarico, Innovation Center for U.S. Dairy, Rosemont, Ill.
Don Bennink, North Florida Holsteins, Bell, Fla. The voting members of the CDCB Board represent the four collaborating sectors of the U.S. dairy industry: Dairy Records Providers (DRP), Dairy Records Processing Centers (DRPC), National Association of Animal Breeders (NAAB) and Purebred Dairy Cattle Association (PDCA). The CDCB Board and staff will host the CDCB annual industry meeting on Tuesday, October 3 during World Dairy Expo in Madison, Wis. Dairy producers and all industry stakeholders are invited to “Discover New Dairy Genetics” during this session from 8:30 a.m. to 1:00 p.m. in the Exhibition Hall (Room Mendota 4). The session will feature a producer panel with perspectives on health traits, along with presentations from CDCB and AGIL researchers.